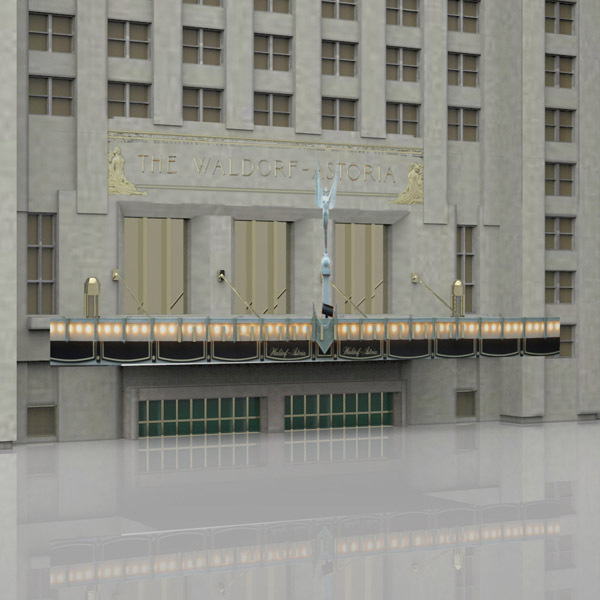 The Waldorf Astoria New York is a luxury hotel in Manhattan, New York City. 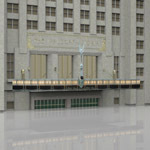 The hotel has been housed in two historic landmark buildings in New York. 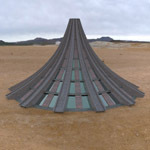 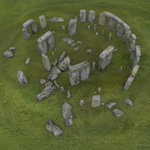 The first, bearing the same name, was built in two stages, which accounts for its dual name. 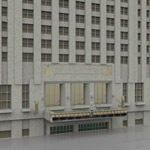 The original hotel, situated on Astor properties along Fifth Avenue, was completed in 1893 and designed by Henry J. Hardenbergh. 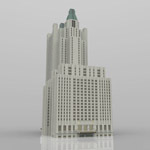 It was demolished in 1929 to make way for the construction of the Empire State Building. 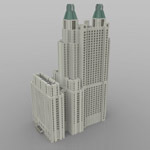 The present building, at 301 Park Avenue in Midtown Manhattan, is a 47-story 190.5 m (625 ft) Art Deco landmark designed by architects Schultze and Weaver, which was completed in 1931. The current hotel was the world`s tallest hotel from 1931 until 1963, when it was surpassed by Moscow`s Hotel Ukraina by 7 metres (23 ft). 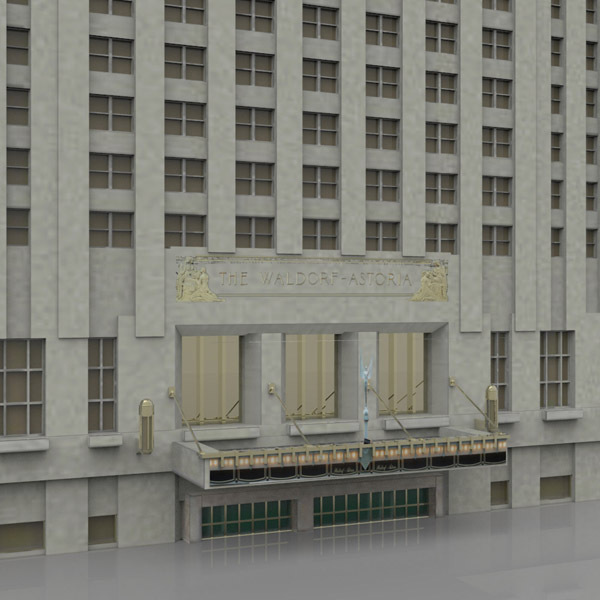 An icon of glamour and luxury, the current Waldorf Astoria is one of the world`s most prestigious and best known hotels. 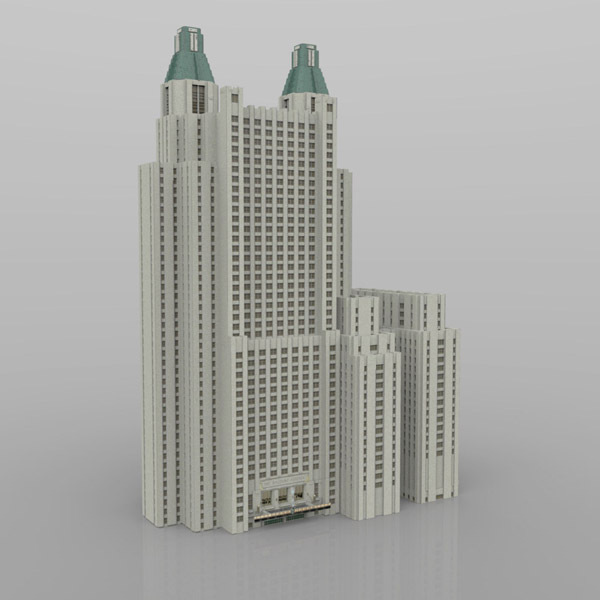 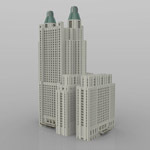 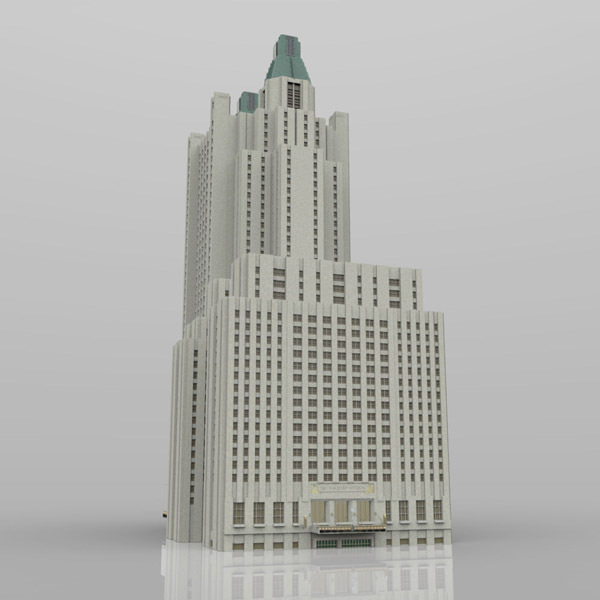 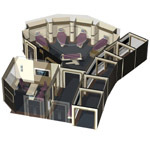 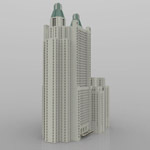 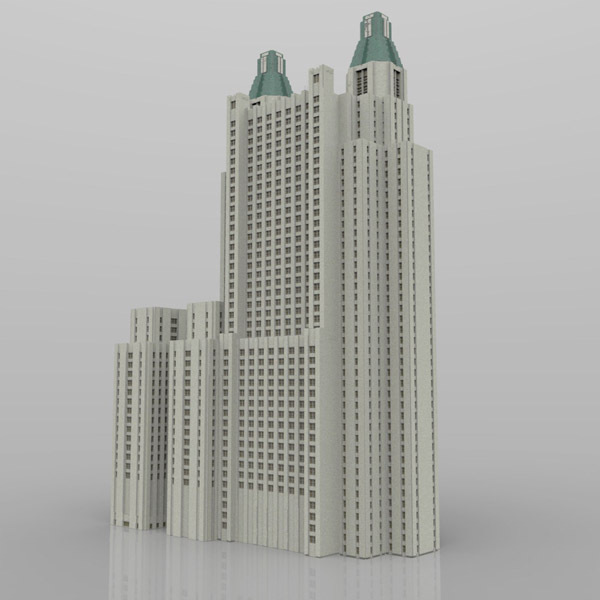 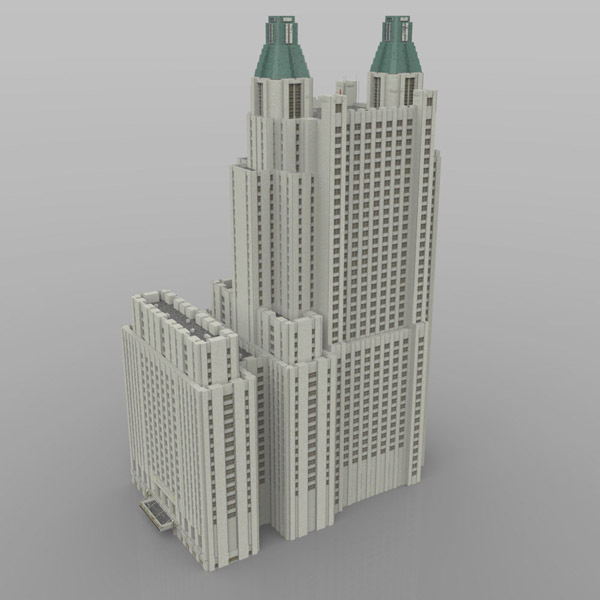 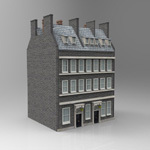 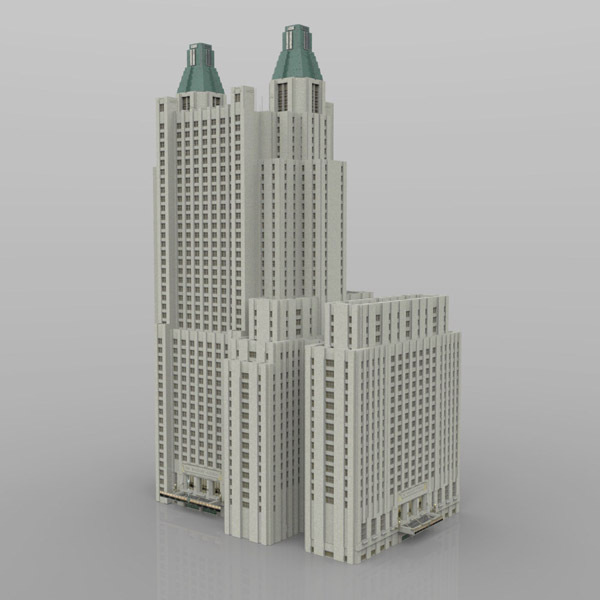 This digital model is based on the Waldorf Astoria Hotel in New York City. 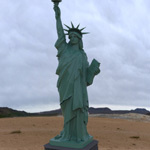 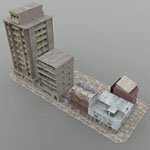 • Poser prop (obj, pp2/ png), with 112,978 polygons. 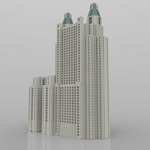 • Not scaled to the size of the Poser people... or else it would be huge! 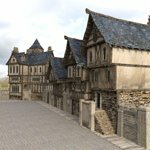 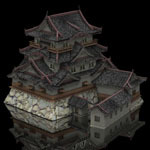 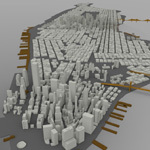 • Includes a full set of texture maps, most of which are 208x2048 in size. 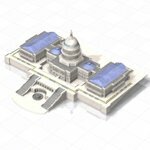 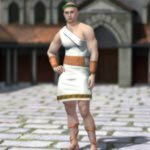 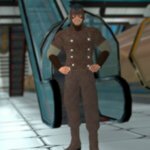 • Model optimization by Dream Cutter LLC.